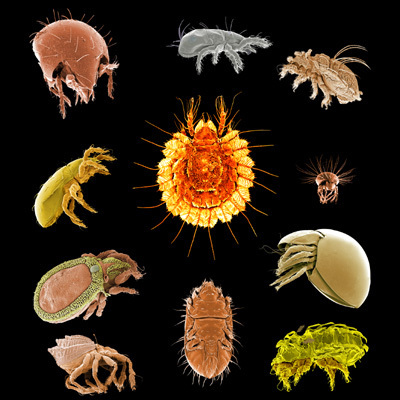 Oribatid mites. False-colour SEM image. Do you accept internships, Master or PhD students in your lab? Which days would you like to attend: whole WS or 13th, 14th, 15th, 17th? Would you like to attend the excursion on the 16th?